For other uses, see Basia (disambiguation). Barbara Stanisława Trzetrzelewska [ˈbaɕa tʂɛtʂɛˈlɛfska] ( listen), better known as Basia (born 30 September 1954), is a Polish singer-songwriter and recording artist noted for her Latin-inspired jazz-pop music. She began singing professionally in various Polish bands from the late 1960s throughout the 1970s. After relocating to the UK in 1981, she rose to fame as a singer in the British sophisti-pop trio Matt Bianco. By 1986, Basia and her band mate Danny White had left the group to focus on her solo career. Signed to Epic Records, the singer enjoyed a very successful international career between 1987 and 1995, particularly in the USA where her first two albums, Time and Tide and London Warsaw New York, were platinum-certified, million-unit sellers. During that era her biggest hits were "Time and Tide", "New Day for You", "Promises", "Baby You're Mine", "Cruising for Bruising", and "Drunk on Love". She had also built up a very loyal fan base in Japan and the Philippines. Following a lengthy semi-hiatus caused by personal tragedies, Basia made a comeback to regular recording and performing in the late 2000s. She currently releases her music through independent labels and has an established position on the worldwide smooth jazz scene. Basia was born in Jaworzno, Poland in 1954 (some sources incorrectly cite 1959). She had three siblings – two brothers and a sister – and her parents ran a popular ice cream parlor in the town's centre. Growing up in a musical household, Basia enjoyed singing from an early age and had an extensive collection of vinyl records. Her mother gave her piano lessons. In 1969, Basia debuted as a vocalist in local band Astry and performed with them at the National Festival of Beat Avangarde in Kalisz where they came first. Always good at exact sciences, Basia was intending on studying mathematics at the Jagiellonian University, but eventually took up physics. On the first year of the course she was approached by the manager of the popular Polish all-female band Alibabki who offered her performing with the group. Basia accepted the offer, dropped out of the university and started to perform with Alibabki in 1972. She toured with them in Poland and abroad, mostly in the Eastern Bloc countries, until 1974. In 1976, Basia took part in the National Festival of Polish Song in Opole as a soloist to no success. From 1977 to 1979, she performed in Polish rock band Perfect, singing covers of popular songs in a Polish community center in Chicago. 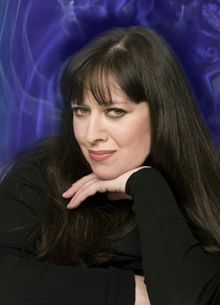 Basia relocated to London with her partner in January 1981 and went on to record demo tracks for various artists. It was there that she met Danny White (brother of jazz guitarist Peter White) and his collaborator Mark Reilly. The trio performed in 1983 as Bronze, but later changed the name to Matt Bianco. Their debut album Whose Side Are You On? was released in 1984 and turned out a hit across Europe. It spawned international Top 40 singles "Get Out of Your Lazy Bed", "Half a Minute", "More Than I Can Bear", and the title track. Despite the success, Basia and Danny left Matt Bianco in 1985 to focus on Basia's solo career, marking the beginning of a longtime collaboration which lasts to date. Their first release was the single "Prime Time TV" in 1986 which was a minor charts success in the UK and Germany. Basia's first solo album, Time and Tide, was released in 1987 and initially met with mixed commercial success, selling well in France but performing poorly in the rest of Europe. Accompanying singles "New Day for You" and "Promises" were only modest successes too. The album fared much better in the US where it found popularity on the smooth jazz radio stations. The song "Time and Tide" was Basia's first hit on Billboard Hot 100, peaking at no. 26 in 1988, followed by "New Day for You" and "Promises" both reaching the top 10 on the Adult Contemporary chart in 1989. The album was certified platinum by the Recording Industry Association of America in November 1989 for selling one million copies in the US alone. Worldwide, it sold almost two million copies. The second album, London Warsaw New York, recorded in 1989 and released in early 1990, was promoted by the popular singles "Baby You're Mine" and "Cruising for Bruising". The latter peaked in the top 40 on both US and Canadian singles chart and turned out Basia's biggest hit yet. The album also included the cover of Stevie Wonder-penned track "Until You Come Back to Me" which was a minor hit on the Adult Contemporary chart. London Warsaw New York was another commercial success, selling in over two million units worldwide, including more than one million in the US, earning Basia her second platinum certification there. It also became Billboard's Contemporary Jazz Album of 1990. The album was a strong seller in Japan which at that point had become Basia's second main market. On the back of Basia's continuing success, her label released Brave New Hope, a compilation consisting of remixes and B-sides, and her first long-form video A New Day, containing music videos and an interview. Her third studio album, The Sweetest Illusion, was released in spring 1994. Mixed by the then-highly sought after David Bascombe, the project marked the end of a ten-year working relationship with mixmaster Phil Harding and a step into more sophisticated territory. The Sweetest Illusion included a number-one hit on the Billboard Dance Club Songs chart, "Drunk on Love", and the moderately successful song "Third Time Lucky". Although it did not match the commercial performance of Basia's two previous albums, it still reached the top 40 on the US charts and received gold certification from the RIAA for selling over half a million copies. The album turned out a bigger success in Japan where it peaked in the top 10 and was her best-selling record yet, eventually receiving platinum sales award. During the tour in support of The Sweetest Illusion, Basia played her first ever solo concerts in Poland. Recordings from two November shows at the Neil Simon Theatre on New York City's Broadway were released in autumn 1995 as her first ever live album, Basia on Broadway. In 1996, Basia contributed vocals to Peter White's song "Just Another Day" which was released as a single from his album Caravan of Dreams. A retrospective compilation album, Clear Horizon – The Best of Basia, was released in 1998, consisting of notable chart hits, non-single tracks, and new material, including a cover of "Waters of March", written by Brazilian composer Antônio Carlos Jobim. The compilation was Basia's last release for Sony and was a minor success, only in Japan, largely due to lack of promotion from the label. In 1999, Basia was featured as guest vocalist on Spyro Gyra's song "Springtime Laughter" on their album Got the Magic and recorded vocals for Taro Hakase's cover of "So Nice (Summer Samba)" released on his album Duets. Basia withdrew from the music industry when her mother, to whom she was very close, passed away in 2000. Not long after that, her cousin died in a car accident which was followed by the passing of other close friends. The singer struggled with depression, lost motivation to work and thought she would never return to singing. After some persistent efforts from Danny White and Mark Reilly, who had started working together again, she agreed to join reformed Matt Bianco. The band released the album Matt's Mood in 2004 to critical acclaim and modest chart success. The positive response to Matt Bianco's reunion and pleas from her fans encouraged Basia to work on her next solo album. Having finished touring with the band in 2006, Basia and Danny began working on the new material together while Reilly continued with Matt Bianco. Her fourth solo studio album, It's That Girl Again, was finally released in spring 2009 by independent label Koch Records. It was promoted by the ballad "A Gift" on the Polish radio while "Blame It on the Summer" served as the lead single on the American market. The album met with critical as well as commercial success, placing in the top 10 of the US Jazz Albums chart and the top 5 in her native Poland where it was certified platinum. Basia promoted It's That Girl Again with an extensive tour. A concert in Łódź, Poland was recorded for her second live album, From Newport to London: Greatest Hits Live ... and More, released in autumn that year. The album additionally featured three studio recordings, including the title song, released as the lead single, and "Wandering", a duet with Polish singer Mietek Szcześniak. They recorded one more song together, a cover of Vanessa Williams' hit "Save the Best for Last", produced by its original co-writer Wendy Waldman, this time for Szcześniak's album Signs. In March 2013, Basia performed a full show at Java Jazz Festival in Jakarta, Indonesia. Basia recorded duets with Polish artists Monika Lidke and the band Pectus for their respective albums, simultaneously working on the new solo album. In 2014, she was ordered with the Commander's Cross of Polonia Restituta for promoting Polish culture worldwide, and the following year, she received the Medal for Merit to Culture – Gloria Artis. Her fifth solo studio album, Butterflies, was finally released in May 2018, preceded by the single "Matteo". It received positive reviews and charted in the top 5 on the Jazz Albums chart in the US, and the top 20 in Poland. The singer embarked on a worldwide tour to promote the album in autumn 2018. Basia's biggest influence has always been American music, particularly soul and jazz. Her songs are also inspired by Latin American music, especially Brazilian, and such genres as bossa nova and samba. She has cited Aretha Franklin, Stevie Wonder, Astrud Gilberto and Antônio Carlos Jobim as some of her favourite artists. The singer is noted for possessing a wide vocal range, approximately three octaves that span from contralto to soprano tessituras, as well as her singular jazz-influenced stylings and multi-layered harmonies. Basia has always tried to incorporate Polish elements into her otherwise English-language songs. Her native language can be heard in "Half a Minute" from Matt Bianco's debut album, in "Copernicus" and "Reward" from London Warsaw New York, as well as "An Olive Tree" and "Yearning" from The Sweetest Illusion. The singer has also released two songs performed entirely in Polish: the concert album Basia on Broadway features a live recording of "Dzień się budzi" (English: "The Day Is Dawning"), and It's That Girl Again includes "Amelki śmiech" ("Amelka's Laughter"), Basia's first and only studio song performed entirely in Polish. Basia has one son, Mikołaj, born in the late 1970s. At the turn of the 1970s and 1980s, her partner was an English man called John, a social worker with whom she briefly lived in Chicago and subsequently moved to the UK. In the second half of the 1980s, the singer was in relationship with her musical collaborator Danny White. Since 1991, Basia's partner is musician Kevin Robinson, a member of Simply Red, with whom she resides in London's suburbs. Basia also maintains a house in her Polish hometown Jaworzno and divides her time between the two countries. She holds dual citizenship, Polish and British. Basia is an avid lover of architecture and has called it her "unfulfilled passion". ^ a b Erlewine, Stephen Thomas. "Basia | Biography & History". AllMusic. All Media Network. Retrieved 30 April 2016. ^ "Sophisti-Pop Music Genre Overview". AllMusic. All Media Network. Retrieved 30 April 2016. ^ George-Warren, Holly; Romanowski, Patricia, eds. (2001). The Rolling Stone Encyclopedia of Rock & Roll (3rd ed.). Fireside. p. 50. ISBN 0-7432-9201-4. ^ "60. minut z Basią | Portal Informacji Kulturalnej Województwa Świętokrzyskiego". pik.kielce.pl (in Polish). Retrieved 2019-03-23. ^ Anna Zielonka (2014-01-21). "Basia Trzetrzelewska z Polonia Restituta - NaszeMiasto.pl" (in Polish). jaworzno.naszemiasto.pl. Retrieved 2018-10-11. ^ "Wywiad z Basią Trzetrzelewską" (in Polish). www.youtube.com. 2013-06-24. Retrieved 2018-10-14. ^ a b "Basia Trzetrzelewska o swoim życiu w Londynie" (in Polish). viva.pl. 2018-09-23. Retrieved 2018-10-14. ^ "Basia Trzetrzelewska: W Opolu mnie wycięto" (in Polish). poranny.pl. 2011-06-19. Retrieved 2018-10-17. ^ a b "Basia Trzetrzelewska - w ludziach widzę tylko dobro" (in Polish). www.kobieta.pl. 2009-07-19. Retrieved 2018-10-13. ^ "Basia Chart History (Hot 100)". www.billboard.com. Retrieved 2018-09-22. ^ "Basia Chart History (Adult Contemporary)". www.billboard.com. Retrieved 2018-09-22. ^ a b c "Gold & Platinum - RIAA". RIAA. Retrieved 2009-04-25. ^ "YouTube – Basia Trzetrzelewska – Interview 1( Boston)". Retrieved 25 June 2011 – via YouTube. ^ "London Warsaw New York". www.basiasongs.com. Archived from the original on 2016-09-11. Retrieved August 28, 2016. ^ "Basia Trzetrzelewska dla Echa Dnia: Byłam tak zakochana, że mogłabym z nim mieszkać nawet na... Syberii (WIDEO, zdjęcia)" (in Polish). echodnia.eu. 2015-08-09. Retrieved 2018-09-25. ^ Marek Kępa (2015-02-24). "8 Polish Pop Songs in English You Need to Hear". Culture.pl. Retrieved 2018-09-27. ^ Flick, Larry (1996-12-14). "Reviews & Previews: Singles". Billboard. Nielsen Business Media. p. 65. ISSN 0006-2510. Retrieved 2018-10-17. ^ a b Jacek Cieślak (2009-04-17). "Polskie akcenty na każdej płycie - Plus Minus - rp.pl" (in Polish). Rzeczpospolita. Retrieved 2018-09-20. ^ "BASIA TRZETRZELEWSKA Czułam presję z nieba" (in Polish). www.gala.pl. 2009-04-27. Retrieved 2018-10-17. ^ "Matt's Mood by Matt Bianco - Music Charts". acharts.co. Retrieved 2018-10-16. ^ "Basia Trzetrzelewska - Interview 2 ( Boston) - YouTube". www.youtube.com. 2010-07-23. Retrieved 2018-10-16. ^ a b "Basia Chart History (Jazz Albums)". Billboard. Retrieved 26 June 2011. ^ "ZPAV :: Bestsellery i wyróżnienia - Wyróżnienia - Platynowe płyty CD - Archiwum" (in Polish). ZPAV. Retrieved 2009-11-21. ^ "Basia Live at Java Jazz Festival 2013". www.youtube.com. 2013-03-14. Retrieved 2018-10-14. ^ "Trzetrzelewska dostała Krzyż Kawalerski Orderu Odrodzenia Polski" (in Polish). tvn24.pl. 2014-01-21. Retrieved 2014-04-04. ^ "Laureaci wybranych nagród muzycznych przyznanych w Polsce w 2015 roku" (in Polish). muzykapolska.org.pl. Retrieved 2017-07-19. ^ "OLiS – sales for the period 18.05.2018 – 24.05.2018". ZPAV. Retrieved 31 May 2018. ^ A New Day (VHS). CBS. 1990. ^ "Backstage with Basia - YouTube". American Library Association. 2011-09-15. Retrieved 2018-10-15. ^ "Basia - JAZZIZ Magazine". www.jazziz.com. 2018-06-04. Retrieved 2018-10-14. ^ "Basia Trzetrzelewska gościem programu Cała Muzyka! - Radio Złote Przeboje" (in Polish). tuba.pl. 2018-05-17. Event occurs at 19:08. Retrieved 2018-09-25. ^ "Basia Trzetrzelewska - Jaworzno to mój dom_HD" (in Polish). www.youtube.com. 2011-08-09. Retrieved 2018-10-14. ^ "Basia - Copernicus Lyrics". MetroLyrics. Retrieved 2018-09-27. ^ "Basia - Reward Lyrics". MetroLyrics. Retrieved 2018-09-27. ^ "Basia Trzetrzelewska: Jaworzno to mój drugi dom" (in Polish). wyborcza.pl. 2009-09-30. Retrieved 2018-10-08. ^ "BASIA TRZETRZELEWSKA - TAJEMNICA ŚWIATOWEJ KARIERY" (in Polish). pytanienasniadanie.tvp.pl. 2018-04-29. Retrieved 2018-09-12. Wikimedia Commons has media related to Basia Trzetrzelewska. This page was last edited on 11 April 2019, at 11:01 (UTC).